We were blessed with Wily for almost 15 years. She had so many endearing traits. When we picked her up from our breeder, she trotted to us with her little greeting (woo-woo howl); she knew she was meant to be ours, maybe even before we did. 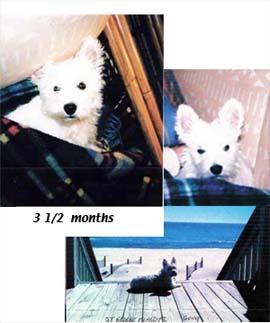 Her little spirit guided us on many adventures over the years – pet friendly locations and meeting many wonderful people. We hope this donation can bring some happiness into the life of some need rescue dog – as she had brought so much happiness to us. Bear was a wonderful friend and companion. 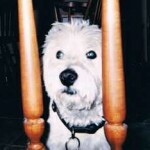 Years ago he did an Iams commercial photo shoot. He was on a plane, boat and even in church. He loved our grandchildren and was a buddy to my husband. We will never forget him. He is always in our hearts. In memory of my sweet boy. He loved everyone he met and in turn, they quickly grew to love him also. Riley was the Mayor of the neighborhood with neighbors greeting him first, and the human on the other end of the leash second, but that was as it should be. In his passing one neighbor referred to him as “a ray of light walking down the street”. Even diabetes couldn’t dampen his sweet, gentle nature. Thanks to all who are involved in rescue, it is an honorable venture and I am all the better for meeting you. Riley was a gift that monetary donations could never repay. 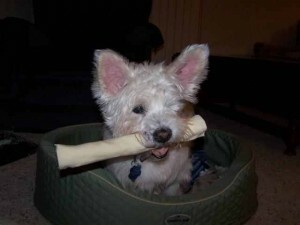 I am especially grateful to Michelle and Chris Bogart, his foster parents for loving him enough to let him go. It was a great 6-year ride and I wouldn’t have changed a thing, except the duration. 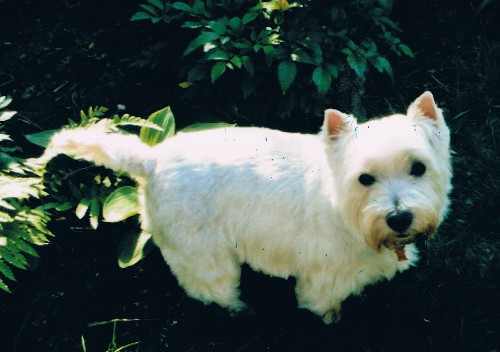 But then, there is never enough time with our dear little Westies. You can stop a heart, but not a soul. And no goodbye is forever. I will see you again my sweet boy. In memory of Breezy, the loved little Westie of Jackie and Pete Droncheff. Dolly was abandoned ont he side of a road. She was blind, deaf and had arthritis. A guardian angel found her and brought ther to the W.H.W.T.C.S.E.M. Westie Rescue where she was fostered by another guardian angel. We are grateful to everyone in the rescue for working so hard to save her and bring her into our lives. 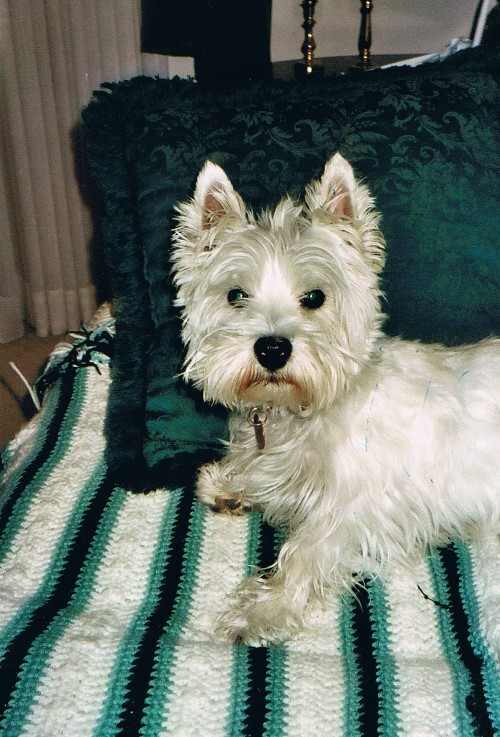 We will never forget her courage, her strength and her Westietude, which was so much a part of her personality. We will miss her great big ears, her tiny face and her cute black nose. The way she nuzzled into us when we picked her up and the feel of her soft, soft coat. Dolly will live in our hearts forever. We were blessed to have her, even for a short time. Goodbye for now, sweet Dolly. I know we will be together again at the rainbow bridge. In the simplest measure, Casey was our pet for a short time but he will be with us forever. Casey was the first dog in our family. He was a great friend and companion. “Once we all got to know each other, he became our dog. 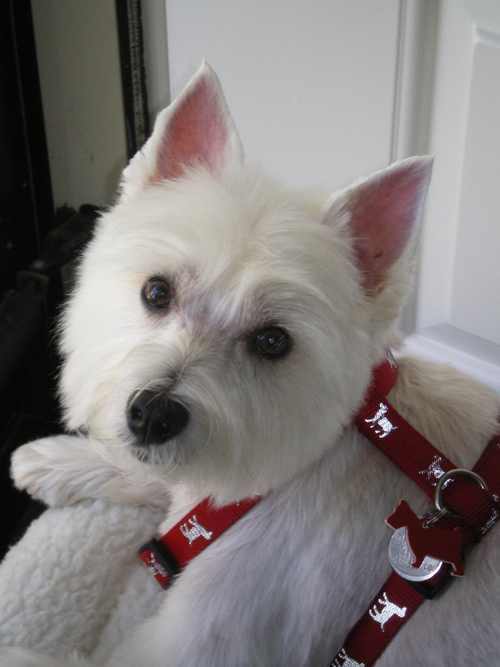 He loved riding in the car, his morning rubdowns adn being my outdoor grilling partner. He also enjoyed “guard duty” on our deck this time of year. He loved being in the snow; I guess it reminded him of his youth in South Haven. Unfortunately, Casey’s diabetes led to other problems that took his life. We miss himi very much. Goodbye, friend, your paw prints are on our hearts.